You will now need to consider steps to take to ‘enforce’ the debt. There are several ways of enforcing a judgment and the best action to take will often vary depending on the situation. A charging order secures the debt against the debtor’s property, such as a house that they own. There is no minimum amount that needs to be owed to apply for a charging order. Prior to any application, it is important you carry out an official copy entry search to ascertain whether the debtor is the current (joint) legal owner of the property. This will also allow you to confirm if there are any pre-existing charges on the title which will have precedence over your potential charge e.g. a mortgage. Any application for charging order has two stages, an interim order and a final order. An interim order is granted by the court to stop the debtor from selling their property prior to a final order and is usually made by a court on reading of the documents (without the need for a hearing). The court decides at this stage if a full hearing ought to take place. When this application is made, you must provide evidence that the debtor owns the property in question, confirm they are in arrears with payment and give details about other creditors if known. At this point, you would also register the interim charge on the property with the Land Registry – the effect of this is that the debtor cannot then sell the property without your knowledge. At the hearing a court will decide if a charging order is to be made final. You should apply to amend the records at the Land Registry to show that your charge is now a final charging order. You will then need to decide whether to just wait until sale at some future point, wherein the debtor will then need to pay your charge plus interest (currently 8% per annum) before legal title can pass to any third party buyer, or whether you should force a sale by applying for an order for sale. However you should know that you will not be able to obtain an order for sale if the debt is less than £1,000. In granting an order the court will need to decide the reasonableness of a sale. In circumstances where minimal sums are owed the court will be reluctant to order a sale. Situations in which a charging order might not be advisable include if the debtor has very little equity in their property (i.e. if there would be little money remaining should the property be sold and the mortgage and other secured creditors were paid off) or if the debtor resides at the property, especially with young children. A third party debt order allows you to take money that is owed to you from a third party who has the debtor’s money. Usually this is a bank or building society, however situations in which this could apply include someone being due a lump sum from a redundancy settlement or inheritance or insurance policy payment. To find out if a debtor has money held with a bank or is expecting a pay out, you can apply to court for an order to obtain information. This means that the debtor has to attend court and answer questions about their finances under oath. As with a charging order, you first apply for an interim third party debt order and then apply for it to be made final. If the order is made final the money will be taken from the third party (such as the bank). The third party has to pay you enough to pay the balance or the amount in the bank account at the date of the interim order. Situations in which a third party debt order might not be advisable include if the debtor can argue that the money is in a joint account and the other account holder does not owe the debt or if the account is overdrawn. It is also unadvisable unless you can be sure that there are sufficient funds held with the third party as this will otherwise be a waste of your time and money. An attachment of earnings order means money is taken directly from the debtor’s salary and paid to you. You cannot apply for an attachment of earnings order if the debtor is self-employed, unemployed or in the armed services. In making the order the court will calculate how much money it thinks the debtor requires to live on which is called the ‘protected earnings rate’. The amount that the debtor can be ordered to repay will be above this amount. You cannot get an attachment of earnings order if the amount owed is less than £50 or the take-home pay of the debtor is below the protected earnings rate. Once you have applied for an attachment of earnings order, the debtor will be required to complete and send to the court a form which gives details of their financial circumstances. A court officer then uses this form to make an attachment of earnings order; if insufficient evidence is given by the debtor on the form the court may list a hearing which the debtor must attend. This remedy would obviously only be appropriate in a case where the debtor is employed and earns over the protected earnings rate. A statutory demand is type of a legal ‘warning’ that can be sent to a debtor, be that an individual or a company. It will state that if the debt is not paid or an acceptable arrangement reached, you may commence court proceedings for the debtor to face bankruptcy or winding up if they do not respond to the demand within 21 days. 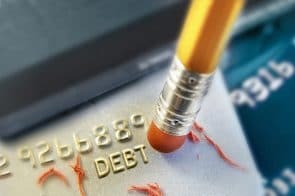 You do not have to have obtained a judgment before taking this step, although the debt must not be disputed and usually the best way to ensure this is by first obtaining a judgment. It is important to note that the minimum sum owed for an individual must be at least £5,000 and for a company the debt must be at least £750. In the event these thresholds are not reached the demand will be invalid. A statutory demand can be helpful in that it is a serious step which may encourage the debtor to pay what they owe or to at least enter into meaningful discussions about a plan to pay by instalments, or face the very serious consequence that they could then be made bankrupt or the company wound up. In the event that the above remedies do not succeed, you may consider instructing a bailiff. County Court bailiffs enforce orders from the County Court where up to £5,000 is owed. They can enforce the judgment to obtain payment for the creditor. They can act under the authority from the warrant which authorises them to recover what is owed under the order but also associated costs. They are employed by the courts directly. High Court enforcement officers have specific authorisation to enforce high value judgments known as High Court Writs. If a judgment obtained in a County Court is over £600 the creditor can enforce this by transferring the matter to the High Court for enforcement. High Court enforcement offices have greater powers than County Court bailiffs and tend to work within a private company. Again, you need to be sure that the debtor will have sufficient items of value that can be confiscated and sold in satisfaction of both the debt and any associated bailiffs fees. There are also restrictions on what items can be taken. The above can seem quite daunting and there are many companies (not necessarily lawyers) who will offer you guarantees to get your money back, but you should be cautious of engaging services of anyone who is not regulated as it could easily be more good money after bad money.